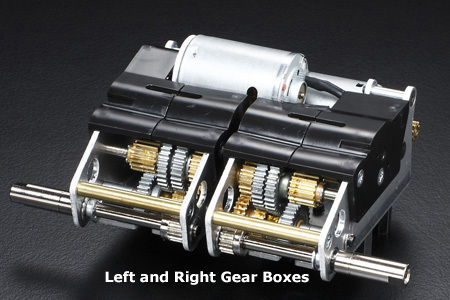 Tamiya 1/16 KV-1 and KV-2 Right Gearbox Discounts Apply ! TAM4205037 - Tamiya 1/16 KV-1 and KV-2 Right Gearbox. This is the original factory right gearbox, which is found with all Tamiya KV-1 and KV-2 (56030 and 56028) full option RC tank model kits. Tamiya #4205037.